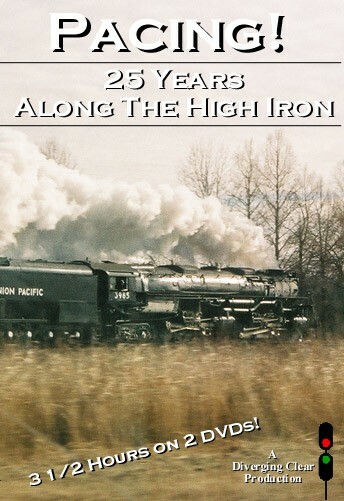 Locations: Kenova, Columbus,Portsmouth, Abingdon, VA.
Herron Rail offers an all color show of Norfolk and Western vintage steam. This was filmed in the 1950’s. Areas focused on are: Kenova, Columbus, and Portsmouth. 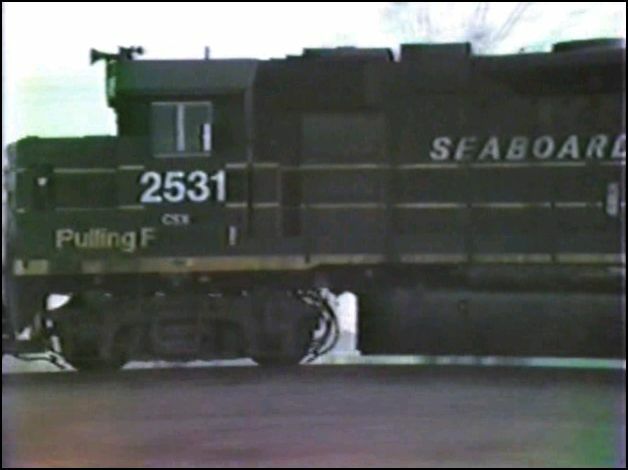 A special segment following the Abingdon Branch is included later in the show. This is high quality film. Program was originally released in 1989. Although there are no maps. Narration by Ralph Morse, is descriptive. He sounds like a professional. 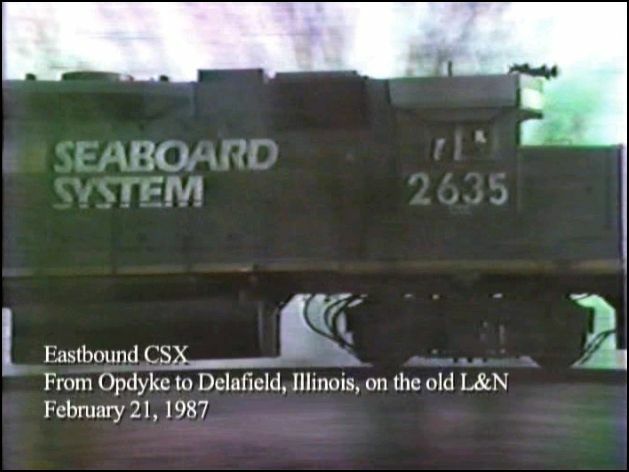 An earlier train video era, 1989 release. The age of VHS tape. Direct and detailed narration. There is a ‘slide-show’ section near the beginning. Various locomotives on the steam roster are covered. Audio has musical background with narrative overlay. Environmental audio, with frequent narration is used. 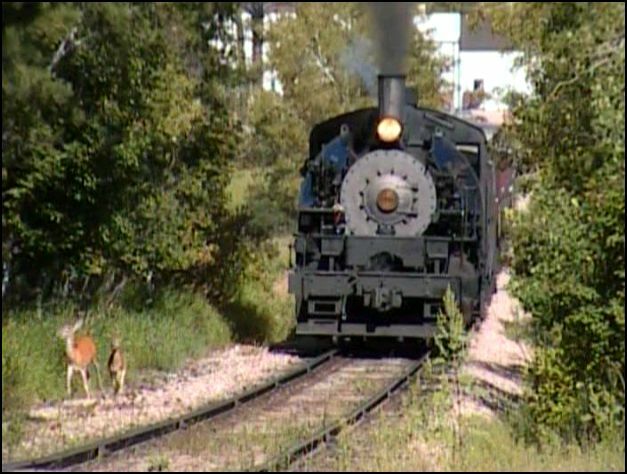 Brief scenes of train only audio, are interspersed throughout the program. Dubbed with great care seems to have been done. Maybe even some live. Script is thought out and well composed. Overall, an emphasis on sound balance. Good levels everywhere. Smoothly presented show! This is a quality program. Action galore! 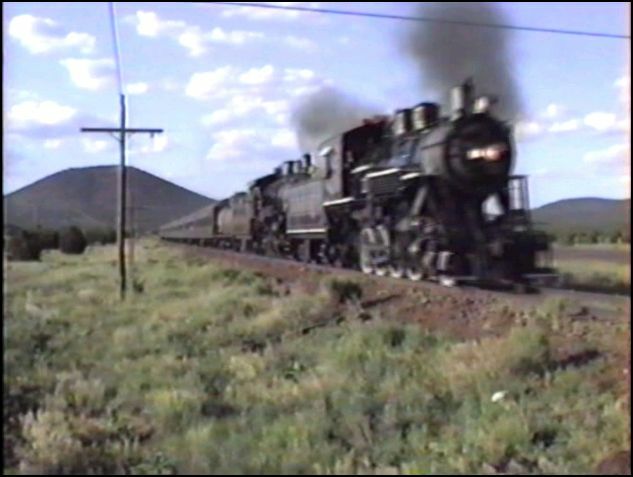 Steam power is nearly constant. Towards the end, early diesels do take over. Historically accurate. 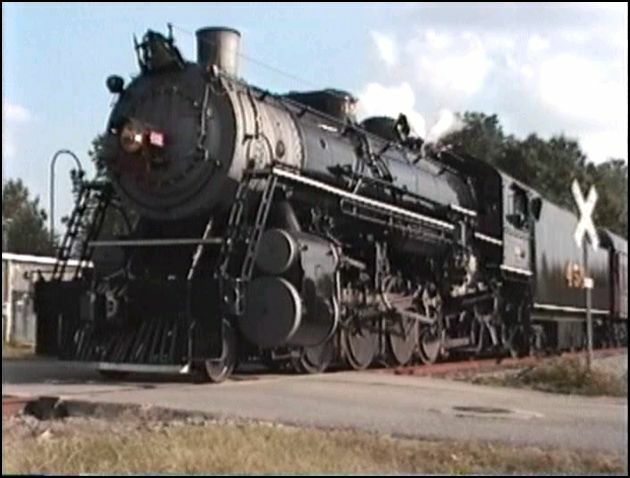 Of course, N&W steam power often are big locomotives! 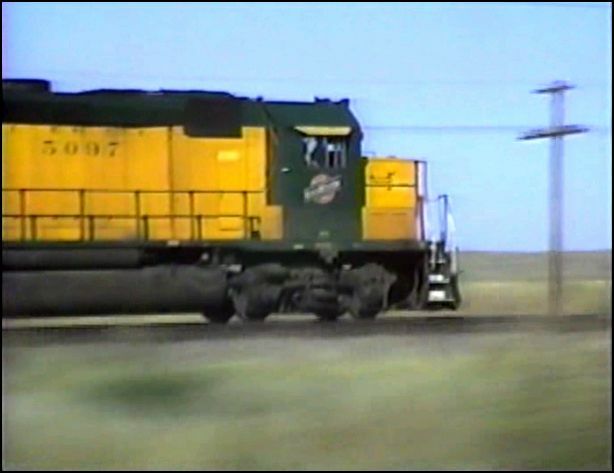 Yard scenes give trainwatchers the chance to see smaller, switch engines. 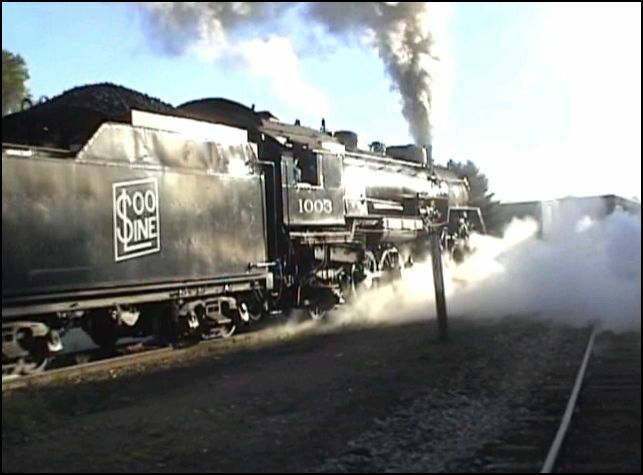 The 600 class ‘J’ locos, were the premier passenger engines at the time.Being located in the heart of coal country. 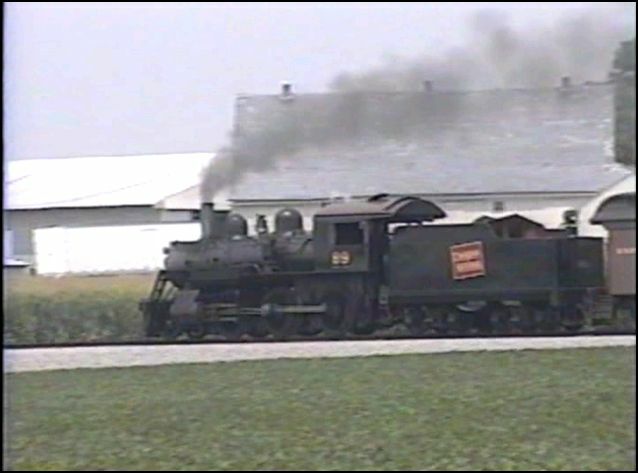 Norfolk and Western kept steam going late, as far as dieselization. This was a boon to those with film equipment. Yet, the roads did not make the areas easily accessible. Abingdon Branchline operated over 100 bridges. 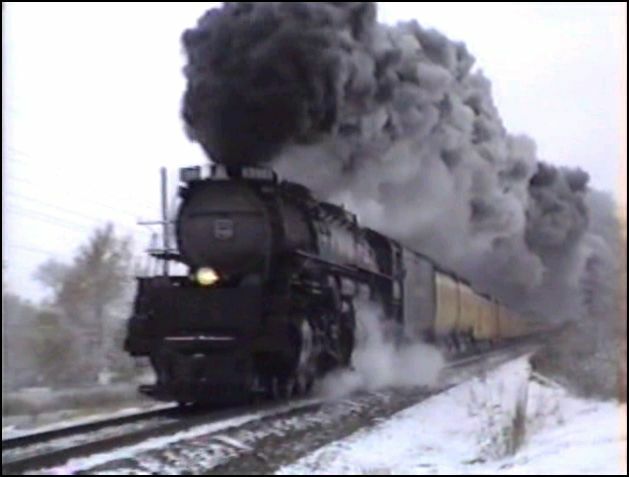 What a contrast to the heavy mainline , steam power . 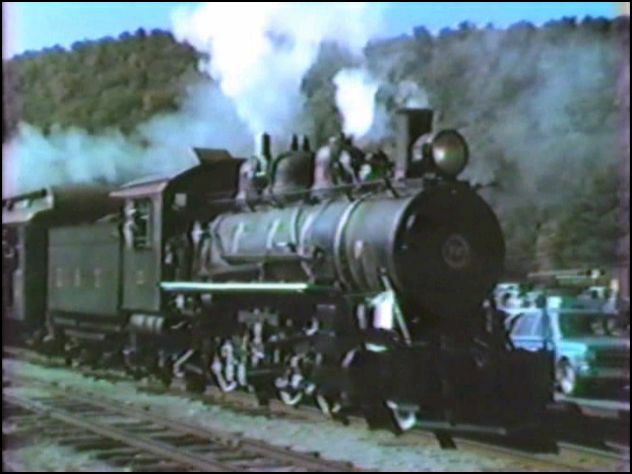 Steam on Norfolk and Western was filmed, right up until the fires were dropped, in the winter of 1958. The story concludes in chronological fashion. 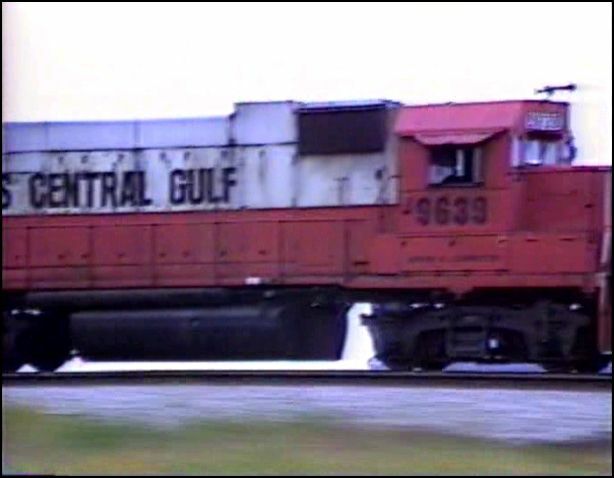 It appears to be EMD GP9 diesels for the closing chapters. Some are factory fresh! There are additional previews of upcoming Pocohontas volumes. Approximately ten minutes of run time. This is the first Herron Rail Video reviewed on ATVR. Obviously, they care about issuing high quality product. Attention to detail, is evident in all areas of this production. Nicely done show! Pocahontas Glory Volume 1 does give a satisfying look at Norfolk and Western. This is a fine program, and suitable for family viewing. This new release by Diverging Clear should be subtitled: The Good, The Bad and The Ugly. A 2 disc set. One is dedicated to 25 years of steam. The 2nd is 25 years of Diesel. 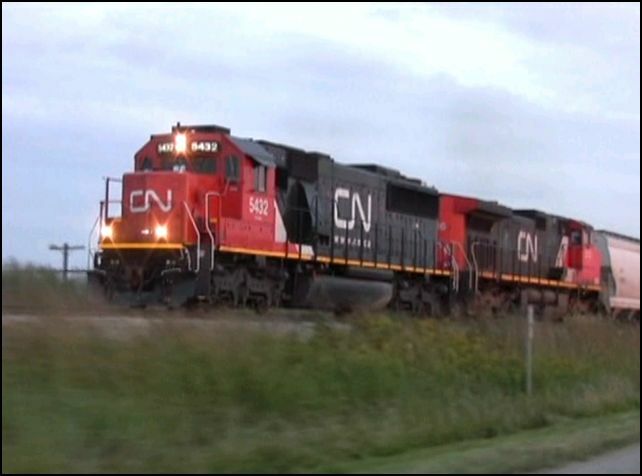 Canadian National on former Illinois Central rails in 2013. The show is action driven. 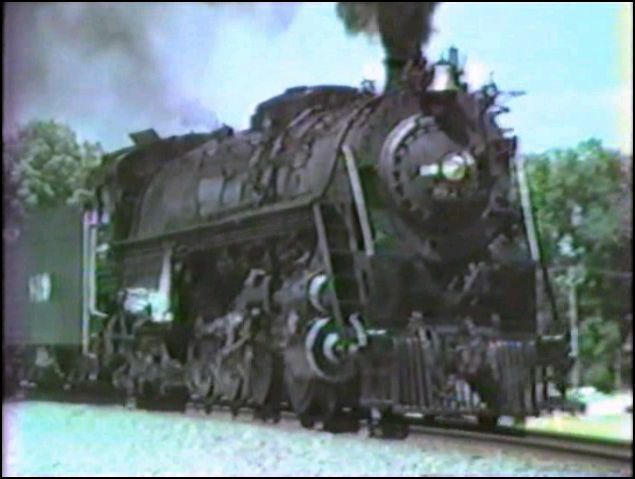 Constant movement of the locomotives on the screen. Each disc features 25 trains. There is a Chapter Menu. The volume level of the loading and menu portion is way too loud. It needs to balance with the program. The sound level will blow one put of the room. The Good: A nice assortment of Steam and Diesel. You would think the Steam would win a pacing show hands down. The drivers, the stack talk and the steam whistles are a formidable array. However, the Diesel portion is equally interesting. Theses are almost all rare. 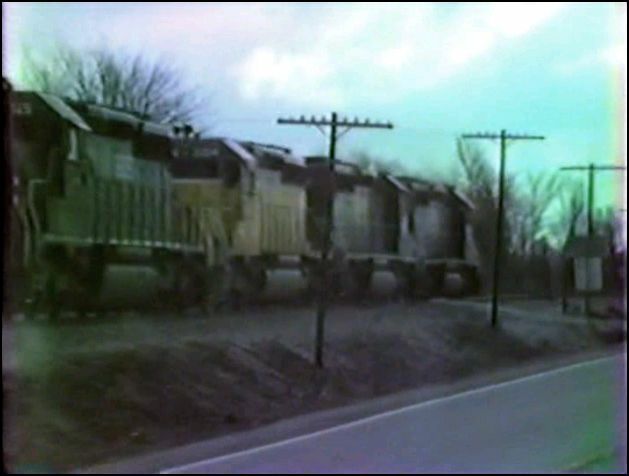 That is in the sense that the everyday operations of the late 1980’s and some 1990’s are not widely available in a pacing format. 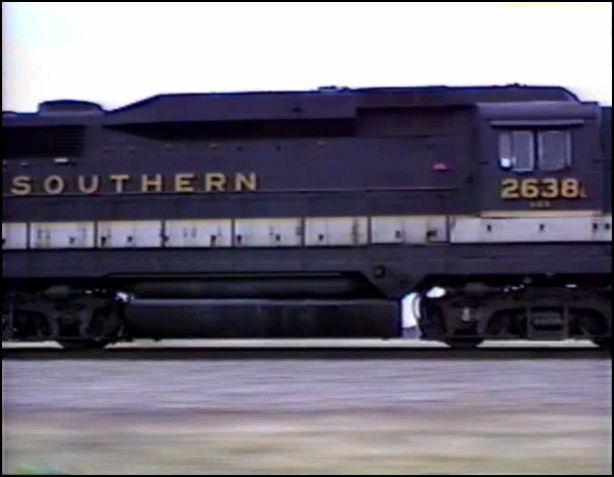 Southern 4501 has one of the best whistles in the set. Great tone and it sounds ‘wet’. 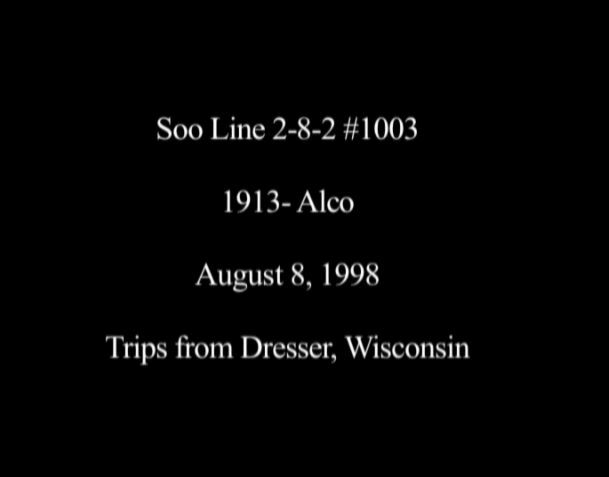 Most DCP shows do contain pacing sequences. 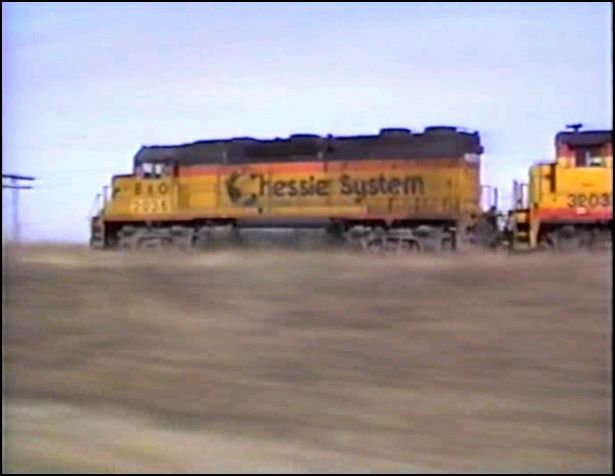 Many of those presented are in the form of extended chase scenes. Depending on individual taste, you can watch it or hit the ‘next’ button to skip ahead. 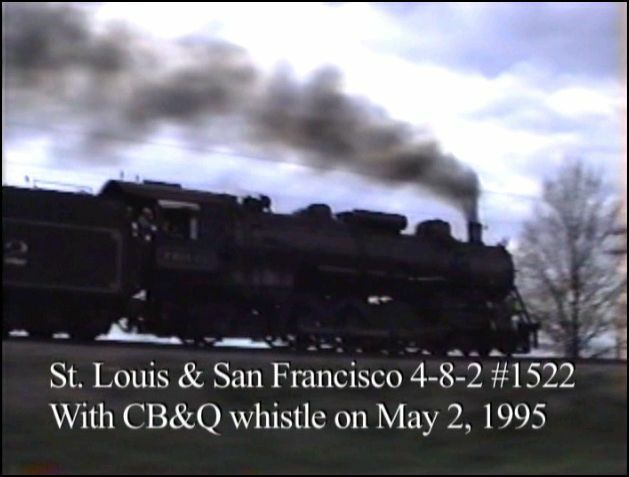 The Bad: Steam has some excessive wind noise. The type that has the potential to damage audio speakers.This is unfortunate. Skipped a few scenes that started out with loud pop and crackle noises. 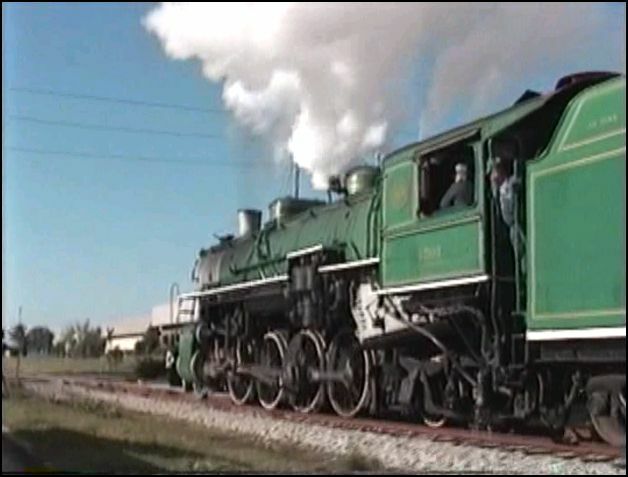 Having a raised volume is just plain fun with steam engines. Diesels is far better and the noise only occasionally is an issue. 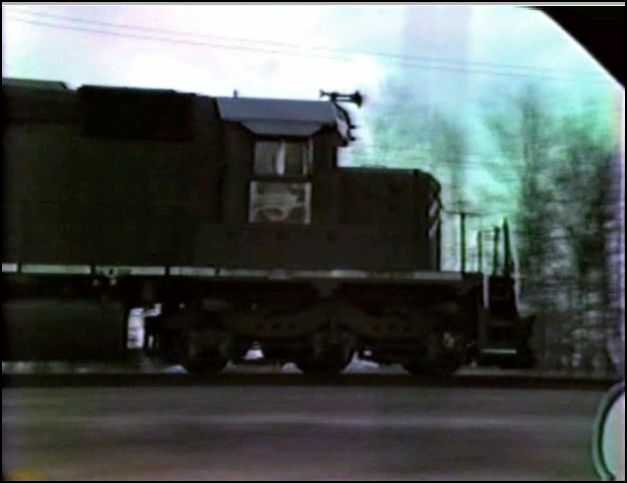 The Ugly: Diesels has those familiar old VHS cassette tape issues that are common. Work has been done to color correct. The source tapes can be a nasty challenge for anyone. 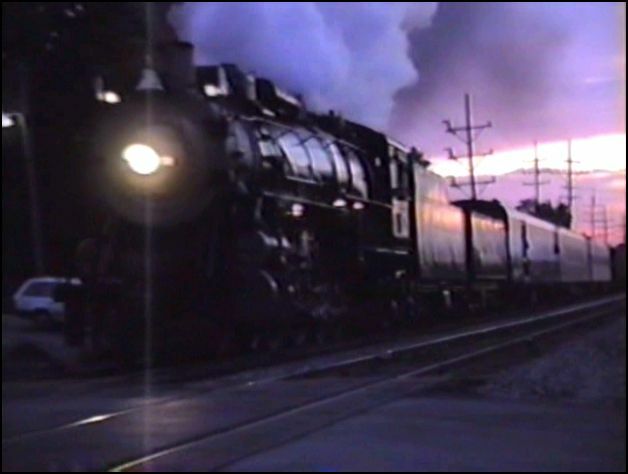 Like many other train videos, the scarcity of the subject material can be the deciding factor. 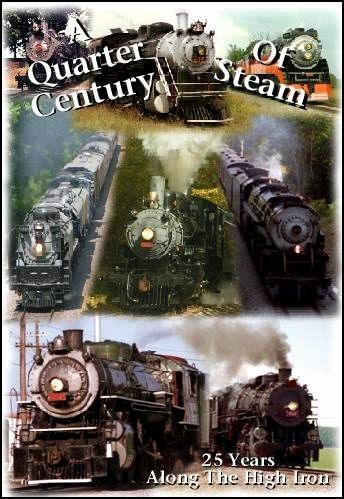 Steam is loaded with the usual performers from the time period. 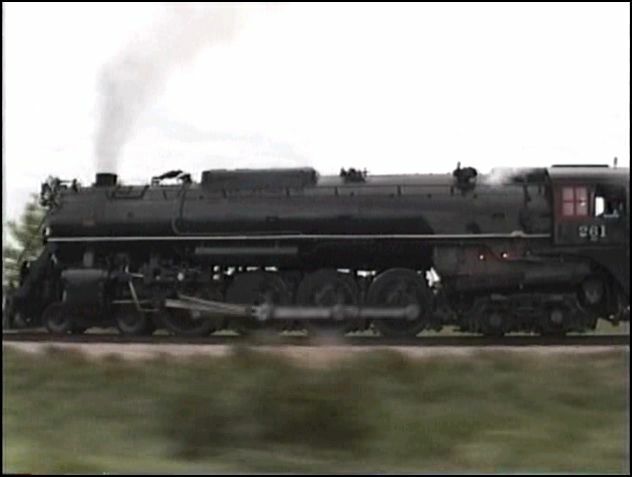 NW 611, UP 3985, NKP 765 and 567, Soo 1003 plus L&N 152 are some. Black Hills Central, Ohio Central, and Northern Pacific are the ones not beat do death everywhere. 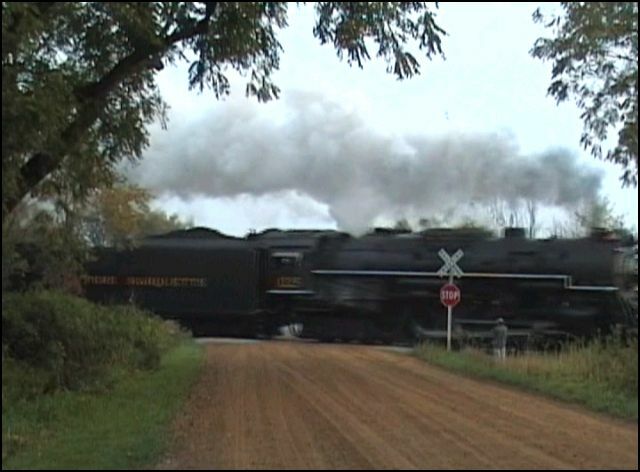 Milwaukee Road has a few appearances. In 2000, the wind noise isn’t annoying or present. Frisco 1522 is too common on this show. Variety in the form of actual vintage whistles used. Kurt Jensen does the very minimal narrative. Good plan, the locomotives are well suited to task. Each scene displays informative graphics. Today’s technology should have rendered the wind noise inert. Just doesn’t belong on a year 2014 production. Various options could have improved the sound, including assorted substitutions. That being said, This program does offer the chance to see 50 trains being paced in one set. The diesel variety seems to have a great mix of period lash-ups. The Heritage Series parallels the roadnames on this set. A few exceptions at the end. 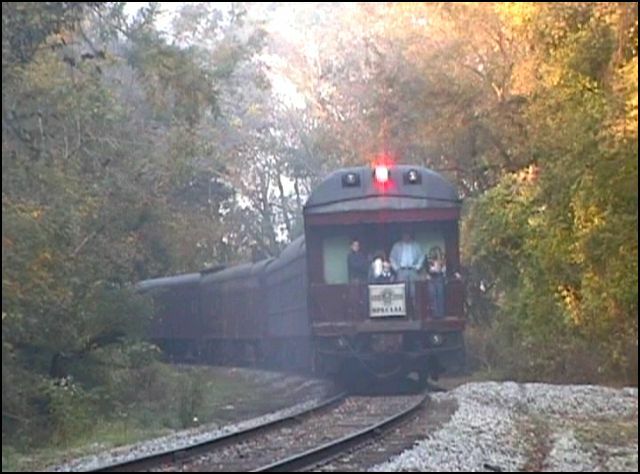 Ohio Central F units and modern BNSF ‘whatever they are’ set to music. 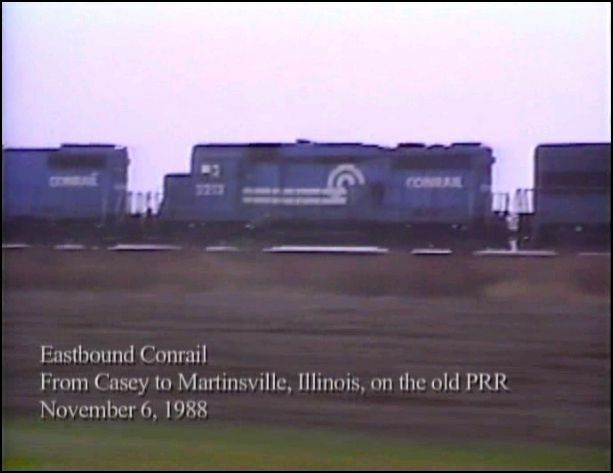 The producer has stated this release is a response to railfan requests. The bottom line for all viewers amounts to your choice. If you seek this footage- here it is. Can be adequate for pacing,as long as you consider it’s shortcomings. If you are hesitant to shell out. Similar and same action is available in many DCP programs.